When you’re on a bike, there’s that feeling called “flow” when everything just clicks, and your energy and environment become one. Maybe it’s that mountain bike trail or gravel grinder that pushes your skill just enough, or on an endurance ride where your frontal lobe switches off and you’re just fully in the moment. Siskiyou has its share of scenic loops and heart-pumping drops that you can enjoy just about year round. From stand-outs like the Mt. Shasta Ski Park or Shasta’s Gateway Trail, Yreka’s Greenhorn Trails, the Goosenest Trail near Macdoel, trails outside McCloud, Dunsmuir, and the Trees N’ Trails in Happy Camp, Siskiyou’s got adventure waiting for the avid cyclist or mountain biker in all four corners of the county (see routes here). 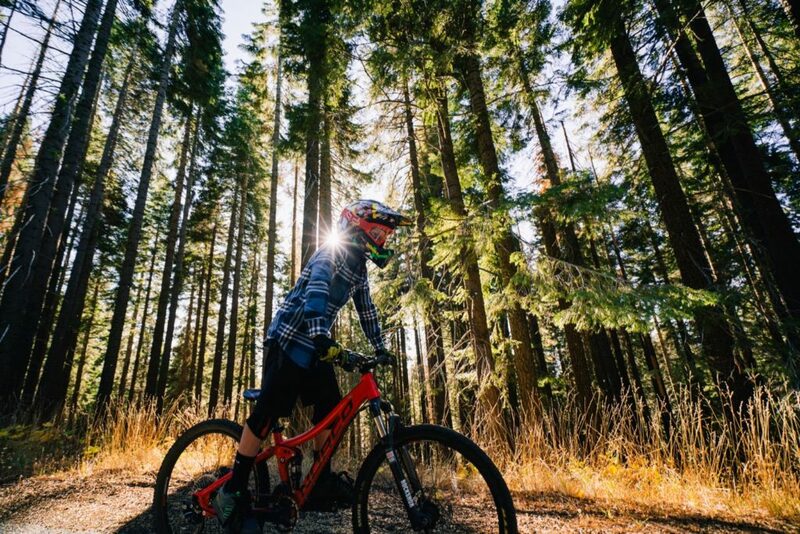 This spring and early summer, there are four more chances for you to find your flow biking AND learn a little something about the historic side of Siskiyou in the process! 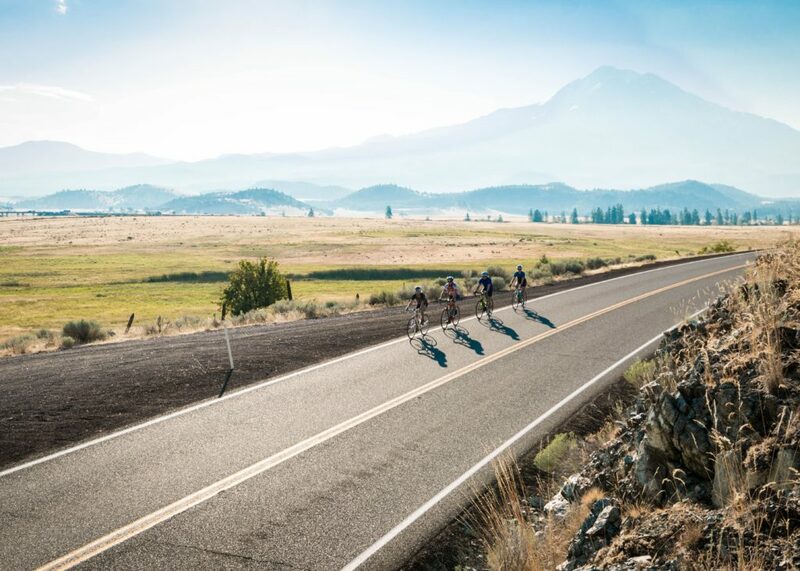 The Siskiyou Scenic Bicycle Tour is a one-day event on May 4, 2019 and features five different length rides (81, 69, 38, 21 and 8 miles). It also includes some amazing opportunities to visit a few iconic sites in Siskiyou’s north. The two longest rides include a trip around Iron Gate and Copco lakes – which might be one of the last times those sites can be seen on an organized bike ride (potentially scheduled for demolition in 2020). But some other fun highlights along the ride also get you insider access to two historic hotspots: the Little Shasta Church and the Montague Train Depot. The Little Shasta Church – arguably one of the most instagrammable spots in Siskiyou – was built in 1878 by pioneers with a jaw-dropping view of Mount Shasta to the south, and will be open for riders to check out. The Montague Train Depot – built entirely of redwood in five weeks in 1887 – will also be open to riders. Be sure to click here for details, registry and maps. And, to make a weekend of it, check out Yreka’s numerous family (and budget!) friendly places to stay here. Some recommended spots to carb-load: Black Bear Diner, Poor George’s (check out their sourdough pancakes! ), and J&D Family Diner. Make this year’s Memorial Day weekend truly one to remember! Now in its sixth year (and growing every year! ), the Art of Survival Century Ride and Gravel Grinder is a two-day adventure through the scenic farmland and lava flows of eastern Siskiyou and southern Oregon. Aside from dramatic vistas and very little traffic on mostly flat terrain, what’s so unique about this event is the educational component and ranger/historian led talks that highlight the history, geography, environmental issues and geology of the area. Saturday, May 25th includes a Century (100 mile), Metric Century (62 mile), 45-mile, 20-mile mountain bike route, and a 25-mile family friendly route. The event takes riders through the rural roads of Siskiyou, including historic sites like the first U.S. National Wildlife Refuge, the Valor of the Pacific National Monument and the Lava Beds National Monument, which is a world-class volcanic landscape with more than 700 lava tube caves. It’s also full of a rich cultural history, containing thousands of petroglyphs and the major battlefields of the Modoc Indian War. On Sunday, stick around for excitement in Dorris where a mix of three gravel grinders (74-mile, 53-mile and an 8-mile family-friendly) will take you along the Butte Valley Wildlife Area and up to Juanita Lake. Butte Valley Wildlife Area is one of the country’s most spectacular wetlands especially in terms of birds of prey, and Juanita Lake is a wonderful, off-the-beaten-track-but-still-easily-accessible fishing spot. For maps and registration, visit here. Want a few great spots to load up on carbs? Check out Mike & Wanda’s, A Slice of Heaven Delicatessen, and Senor Tequila’s. For great places to stay for your weekend in eastern Siskiyou, visit here. On June 22nd, 2019, get ready for a bike ride that capitalizes on some of Siskiyou’s (and really if we’re honest about it, straight-up nature’s) most incredible views! The Castle Crags century ride begins in the City of Mount Shasta with five ride options that include a Super Century, Full Century, Mountain Metric Century, Valley Metric Century, and a Half-Metric Century. All routes follow one or both of two loops – one to the south of Mount Shasta and one to the north – with jaw-dropping scenery no matter where you go. You can definitely find your flow on this bike ride. All rides start and end in Mount Shasta City Park at the headwaters of the mighty Sacramento River where you can even bring a jug and fill up with this pure – and believed sacred – water! Then get ready for some epic climbs and a couple of the longest and steepest descents you’ll probably ever find on a century ride. Along the way, there are epic views of Mount Shasta, Trinity Lake, Mount Burney and Mount Lassen. And all the while, you’ll be circling the sky-scraping 6000 ft. spires of polished granite known as the Castle Crags. The geologic history of the Castle Crags began with their formation by volcanic activity some 200 million years ago. Subsequently subjected to the elements, they were eroded into distinctive shapes. They’ve been the back drop of many events in Siskiyou’s western history, from the Modoc battle at the Castle Crags to one of the first tourist sites listed in Sunset Magazine in 1898. The most famous peak is the round one amongst the spikes called Castle Dome – a taste of Yosemite’s Half-Dome in the Siskiyou wilderness. For more information and to register visit castlecragscentury.com. On June 22, 2019, Yreka also welcomes the Humbug Hurry Up that takes place in beautiful Upper Greenhorn Park. There’s a 20, 15 and 5 miler race, as well as two races designed for kids. 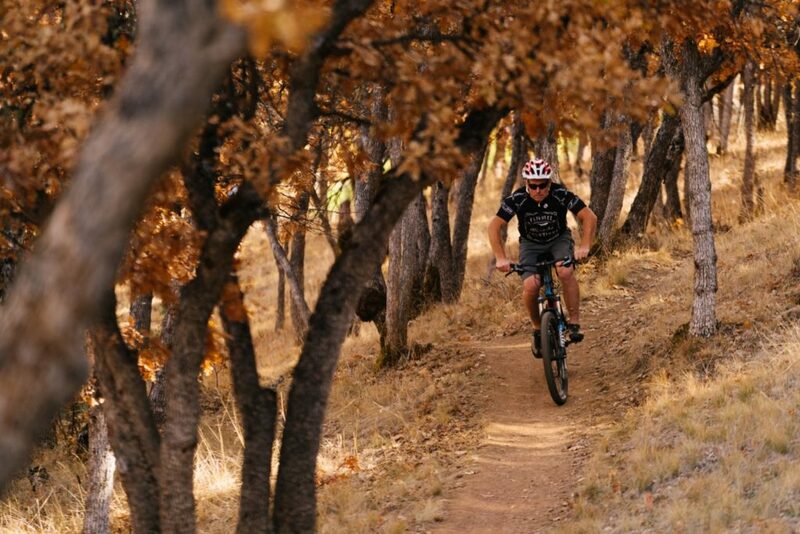 Greenhorn is a gem of a park with multi-use trails and some of the best fall colors in Siskiyou. But as you find your flow in the bike race, there are also some cool vestiges of history inside the park. When gold was discovered along the creek, a little town was created here, at one time even having a general store, tannery, glove factory and sawmill. While most of it is gone, you can still see the schoolhouse near the South entrance to the park. To register for the race, visit here. To learn a little more about Greenhorn Park’s colorful history, visit here. Spend the weekend and enjoy a wealth of Yreka history, with more than 70 homes built before the turn of the century (with a self-guided Historic Homes Walking Tour here), the family-friendly Siskiyou County Museum, and historic downtown Miner Street. 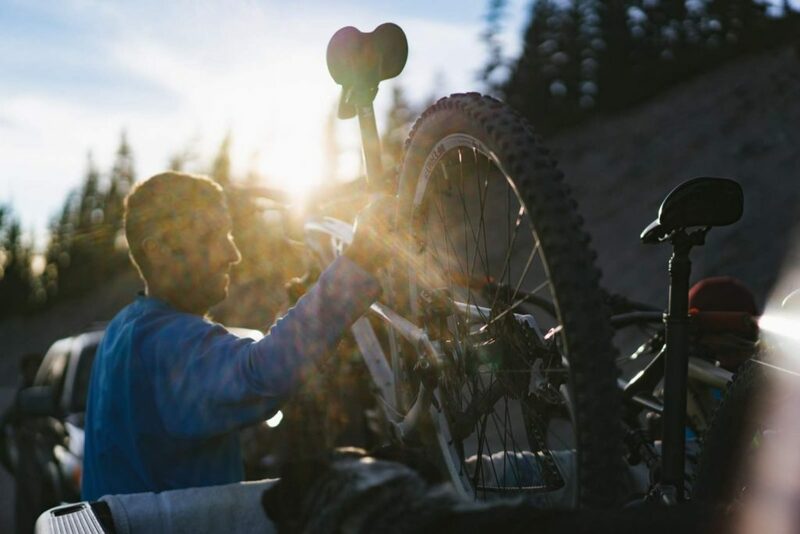 Come find your flow biking in Siskiyou’s epic scenery and learn a little something in the process.